Before the advent of smartphones, mobile phone batteries were not an issue. The batteries of bar phones could hold a charge for days on end. When smartphones came out, people didn’t easily understand why the battery on these new phones couldn’t last for even an entire day, despite advanced technology. It’s unfortunate that the battery life on smartphones is still to be desired to this day. Although it’s understandable that new phones do a lot more power-hungry tasks than only making calls and sending messages, we all could use a few more hours of battery juice, right? In the meantime, we’re left with no other choice but to make the most of what’s available. Fortunately, with a little bit of tech know-how, it is possible to extend your Android phone battery life. 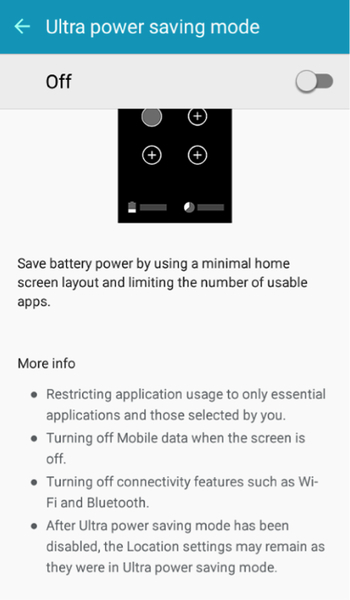 Read on to check out our Android battery saver tips. If you rely on your mobile device for just about everything you do in a day, then you’re going to wear out that battery faster. It’s a hassle to keep on having to charge your phone throughout the day, so the best solution is to choose a phone with a higher-capacity battery. There are entirely some of the devices today that have up to 5000mAH battery, which could hold a charge long enough to last a day even when being abused. It’s important to remember though that a more extensive battery does not automatically translate into better battery life. You’ll still need to take care of your phone and battery correctly if you want it to live longer. Some examples of Android phones with a 5000mAH battery are Samsung’s Galaxy A9 Pro, Xiaomi’s Mi Max Prime, and ZTE’s Blade A2 Plus. These phones typically belong to the top-of-the-line range so that they could be more expensive — but at least they’ll be able to match your level of use. Learn What Features Tend to Drain Your Battery Faster. Once Android boots up, the phone starts extracting power from the battery. Every app you use on the phone drains even more power. With so many apps and features jostling for power, it’s no wonder that the phone’s battery will need a charge after a few hours. One of the best ways to save battery power is to reduce the number of apps and features working at the same time. If you don’t know what those apps and features are, go to Settings > Battery > Battery Usage. For example, screen brightness and the Android system typically use a higher percentage of the battery. While you could ease the intensity a bit to save power, there’s not a lot you can do about the Android system itself. If you have Facebook, Gmail, Twitter, and other apps running in the background, you might want to set them up to run manually instead. Doing so will reduce the amount of data being transferred from your phone to the internet. 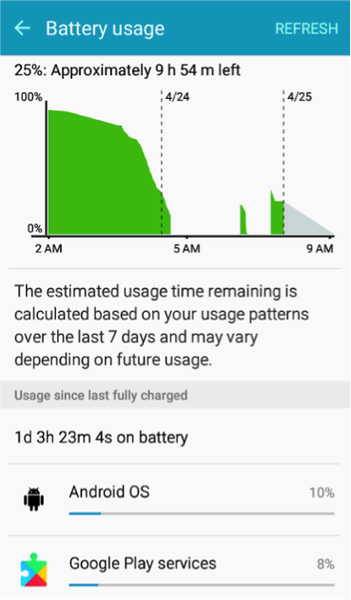 Every time the phone transfers data, power is being sucked out from the battery, so reducing data usage when you’re not using the device will save on battery power. Tap on Menu (three horizontal lines on the left of the screen). 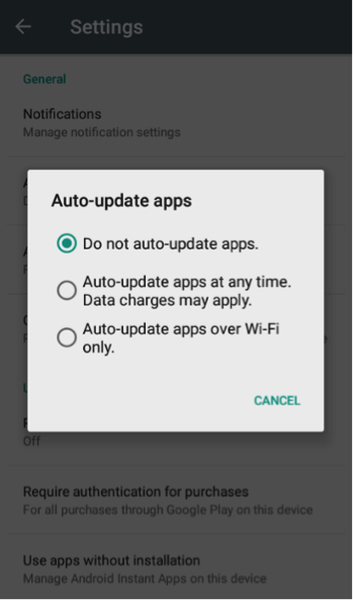 Tap Do Not Auto Update Apps. Reduce the Number of Screen Widgets. The widgets on your Android are great, primarily when you use them quite often. Unfortunately, widgets are applications that run in the background, thus are using a significant amount of the battery’s power. Ask yourself, do you need all the widgets on your device? Do you look at the calendar every time you pull out your phone? Is the weather a highly important issue that the weather widget needs to be continuously running in the background? 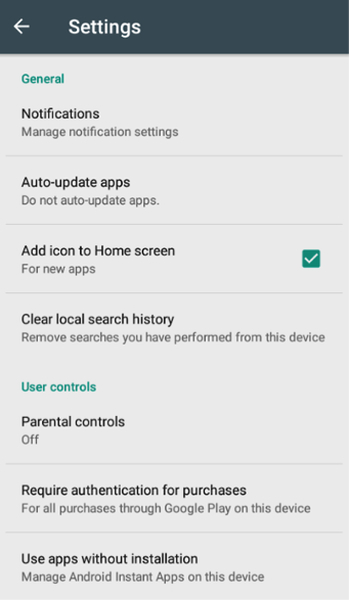 If some of the widgets on your device aren’t as essential as they may seem, you need to turn them off for the sake of saving power and extending battery life. Turn Off Notifications Whenever and Wherever Possible. 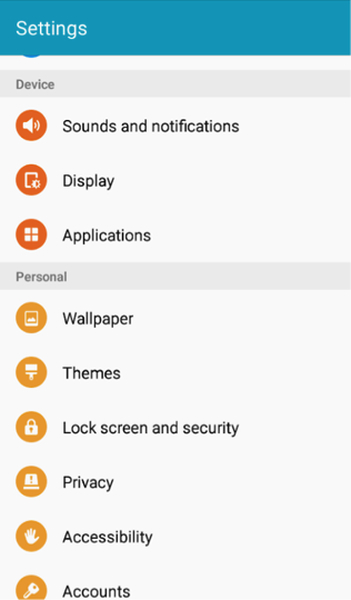 Open Settings (and more settings on some Android versions). Select the first application on the list. 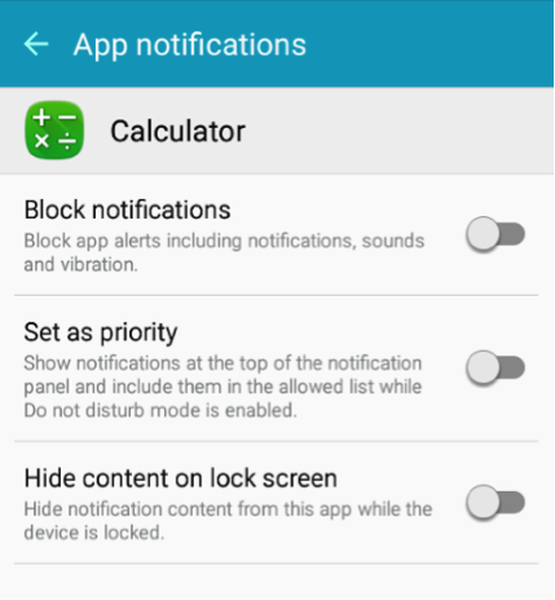 Tap the toggle beside Block notifications to disable app alerts. *You’ll need to repeat steps 4 and 5 for every application on the list. Turn-Off WiFi When Not Needed. For most of us, WiFi is a necessity, especially those who have the need to be connected 24/7. Unfortunately, a connection does have its price regarding battery power. If your WiFi is switched on all the time, the phone is continuously transmitting and receiving a signal from WiFi networks. As such, battery power is being consumed every second the WiFi connection is active. If you want to save on power, you’ll need to switch off WiFi connection whenever it’s not being used. Fortunately, doing so is easy enough on any Android device. A simple swipe of the screen and you’ll be able to turn WiFi on or off whenever you need to. Aside from WiFi, another wireless connection that might be consuming battery power is Bluetooth. 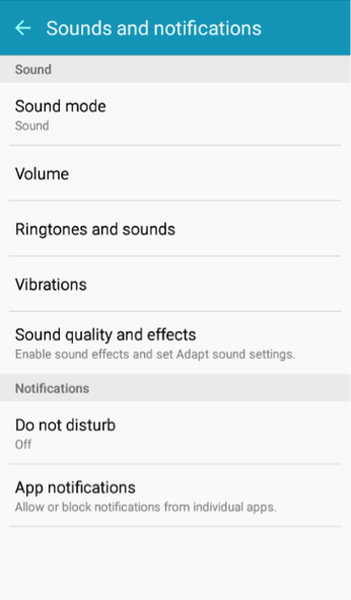 If you rarely use Bluetooth, then make sure that the feature is disabled, else it will continuously use battery power to find other Bluetooth-enabled devices. Place Your Device in Deep Sleep-Mode Whenever Possible. Another great way to increase Android’s battery life is to place the device in deep sleep mode whenever you’re not using it. Most Android phones will go into sleep mode after a few minutes of being idle, but you can change this to allow the Android device to go into deep sleep mode instead. In deep sleep mode, the phone’s apps that are running in the background will also be turned off, including any internet connections that you may have left running. It will save a considerable amount of battery power whenever you’re not using the device. Unfortunately, deep sleep mode is not a standard feature on Android devices. You’ll need to download a related from the Play Store. Switch on Ultra-Power Saving Mode. Perhaps the easiest way to save a good amount of battery power is to switch on the power-saving mode on your device. Most Android devices will have at least three power settings: Normal, Low power mode, and Ultra power saving mode. In the Low power mode, Android will reduce brightness and the usage of any app that is consuming power. However, note that this is only a reduction in the usage of the app. In the Ultra power saving mode, the device will only use the essential features of the phone, such as contacts, messages, clock, etc. To switch to the Ultra power-saving mode, tap on Settings > Battery > Ultra power saving mode. Toggle the switch to turn it on. Disable GPS to Save Power. In the earlier versions of Android, GPS consumed a whole lot of power from the battery. Fortunately, Android has been able to fix this problem in the later versions to the point that GPS now only uses a nominal amount of power. Nevertheless, if you want to save as much power from the battery as you possibly can, then turning off GPS when you don’t need it can add to the energy savings. Just remember though, some apps may rely on the GPS Location feature to work properly. If you want to save as much power from the battery as you possibly can, you can turn off GPS when you don’t need it can add to the energy savings. Optimize Your Android to Extend the Life of Your Battery. As you might already be aware, a device that is not optimized will consume a lot of power from the battery. To ensure that you’re only using the right amount of battery power throughout the day, you’ll need to optimize your Android. Although you can do this manually, a better way to achieve optimization is to download and install Outbyte Android Care. 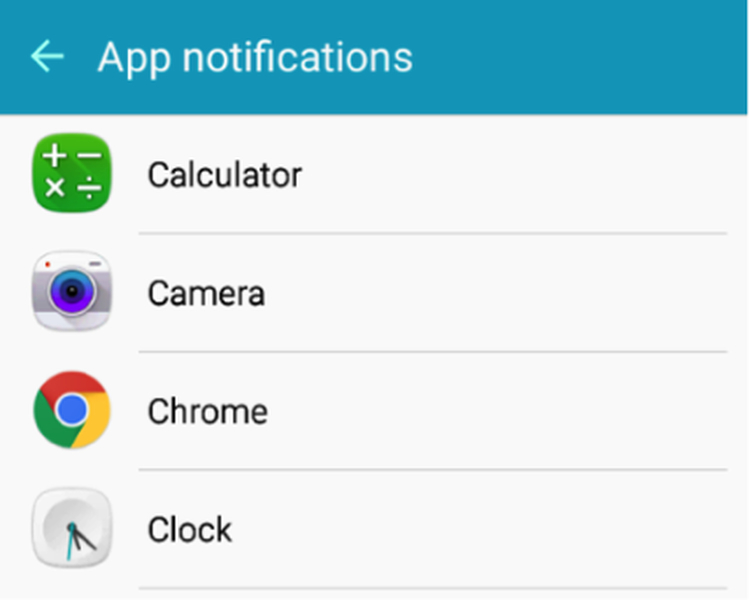 This app maximizes your Android by clearing out the junk on the device and optimizing RAM. 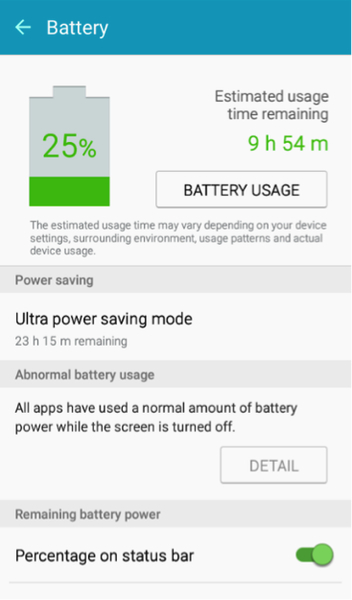 With Outbyte Android Care and the Android battery saver tips described above, you’ll be able to maximize the use of your Android device and extend its battery life as well.